Name : the kid is 14! so awkward! vote if you like the doll in the movie named... 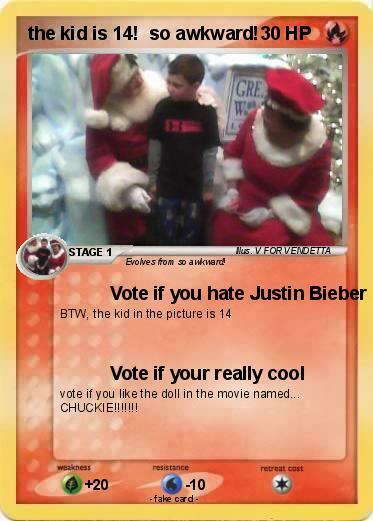 CHUCKIE!!!!!!! Awkward knight | Awkward ninjas 4 | Awkward ninjas 4 | awkward moment seal | Awkward ninjas 2 | dawn's awkward moment | Y U NO GUY | seriously him again | OOOOH Cat | Awkward Seal | Awkward... | Jaiden | weird man | sierra | hes watching you | Leo | awkward | ODOGAMMO | Guy | Lightning | Awkward Man | OOOOH Cat | Awkward cat | SpiderJeff | snuggbe | One-Eighth | Awkward Dog | Andi Mack | carl | Creepo | Sandslash | trashcanachu | Awkward Thing III | The other Awkward D. | Lucario and Zoroark | Max | Awkward | RATE THIS 5 STAR | Jade | JC | Chey | Derp | Awkward Wynaut | Things. | Squid | Mannibalector | Socially Awkward Man | Anne | Domo | Awkward Turtle | Awkward ninjas 3 | Brooklee | Weegee | Grace Helbig | Awkward Dog | E-mar | Camden | Brett | Brett | l-l-l-ama EX | Hadchu | Sam | EWANN | EyIsKane | Vincent | face fury | OLIVIA | Ronald McDonald | da booty | Andy S.